The Maxtrix Low Loft with Slide is on display in our Long Island Showroom, which is located just a few blocks from the Roosevelt Field Mall and next to Pier 1. The Maxtrix Low Loft with Slide is made of 100% solid wood and rated to hold up to 400 lbs per sleeping surface! Available with an angled ladder, a straight ladder or Side Stairs with storage. The Ladder/Side Stairs can be set up on the left or right side. 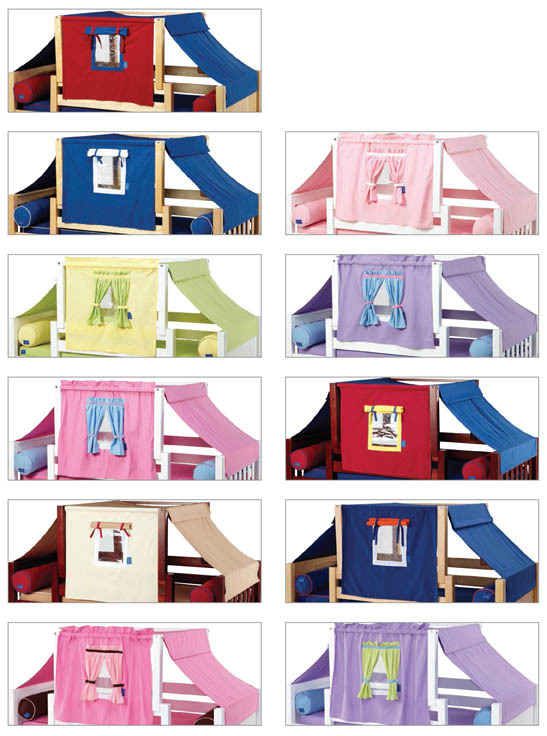 Choose from different color fabrics for girls and boys. Meaurements listed above do not include ladder, side stair dimensions, or extra depth needed for the slide. Those sizes are listed below.